This Saturday, December 12, a convoy of tractor-trailers will arrive at Arlington National Cemetery. The trucks have been travelling all week to reach Arlington to join with hundreds of volunteers that place Christmas Wreaths at grave sites of our fallen military. For the 10th year the Wreaths Across America (WAA) convoy will start their day at the Branchville Volunteer Fire Company and Rescue Squad, Inc. in College Park, MD. This week of events is made possible by thousands of volunteers who organize local ceremonies, raise funds to sponsor wreaths, and participate in the events. The cost of the programs is paid by individual wreaths sponsors, corporate donors and volunteer truckers. Have you ever thought about where dozens of tractor-trailers carrying thousands of wreaths stay the night before?? Where does this huge convoy start from?? Where do the hundreds of staff and drivers eat breakfast before making the final leg of their long journey?? 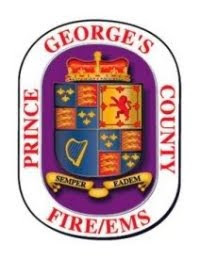 A local volunteer fire department in Prince George’s County, Maryland plays a key role in assisting WAA reach their final destination at Arlington National Cemetery. The Branchville Volunteer Fire Company and Rescue Squad and their Ladies Auxiliary in College Park, MD, put in a weeks worth of work into a very short period of time to honor the staff and volunteers that honor our fallen heroes. The all-volunteer fire company, for the 10th consecutive year, will start to park dozens of Wreaths Across America tractor trailers and support vehicles on Friday, December 11. The trucks are expected to arrive as early as 10:30 am on Friday. The WAA convoy departure on Saturday morning is quite impressive and starts off with breakfast cooked by the Branchville Volunteers. Ronald Leizear Sr., President of the Branchville Volunteer Company, stated, "The membership looks forward to this event every year and participate willingly with a smile on their face. We understand the mission of remembrance and honor of our fallen at Arlington National Cemetery and we are doing our small part to help make that happen." For the fifth year the Branchville membership including the Ladies Auxiliary will provide breakfast to the staff and drivers. This year, we are planning on over 500 people for breakfast. Volunteers will start prepping the meal at midnight Friday into Saturday morning. WAA staff start to arrive at around 4:00 am to enjoy breakfast. The fire station banquet hall becomes a very active place until around 7:30 – 7:45 am when the trucks start their process of lining up for an escorted trip from Branchville Fire/EMS Station to Arlington. This event provides a very unique opportunity for media to talk with the primary participants and organizers of Wreaths Across America in a calm and quiet setting. Several boxes of wreaths will be opened and on display Friday as they are stacked for distribution on Saturday morning at Arlington. The breakfast provided by the Branchville Volunteers is truly an amazing effort and really cannot be put into words, you have to see it to believe it. It is expected that the 1st Lady of Maine, Anne LePage, will attend the Branchville Breakfast and join the convoy to Arlington.